Lunchbox Dad: All I Want for Father's Day is to Cook These Saucy Chicken Sliders With My Kids + Electric Smoker Giveaway! 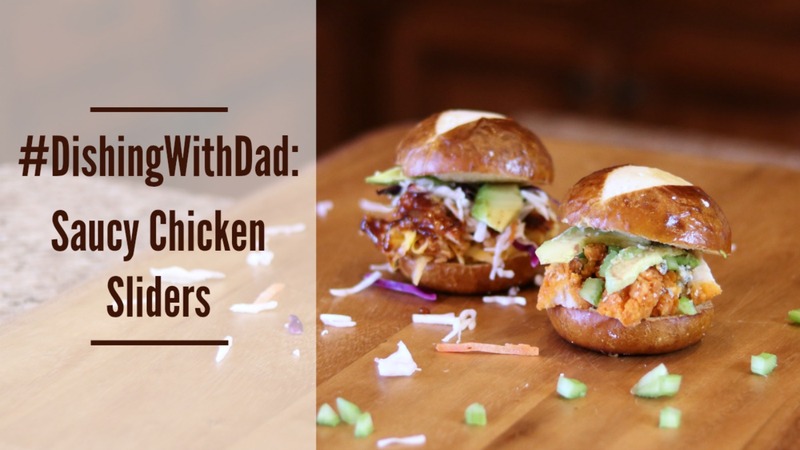 All I Want for Father's Day is to Cook These Saucy Chicken Sliders With My Kids + Electric Smoker Giveaway! This is a sponsored post in partnership with Farm Rich. All opinions are my own. Father's Day is almost here which means one thing, dads get to do whatever they want all day long! Not only that but it's dad's choice for the meals too. In my world that means it's time to get the kids and get into the kitchen. I love cooking with my kids! It's so fun being on the same team working to put a meal together. If you are a dad, and you've never cooked alongside your kids, you really need to make that part of your Father's Day present this year. If you do, these Saucy Chicken Sliders made with Farm Rich Buffalo Style Boneless Chicken Bites and BBQ Style Boneless Chicken Bites should definitely be on your menu! 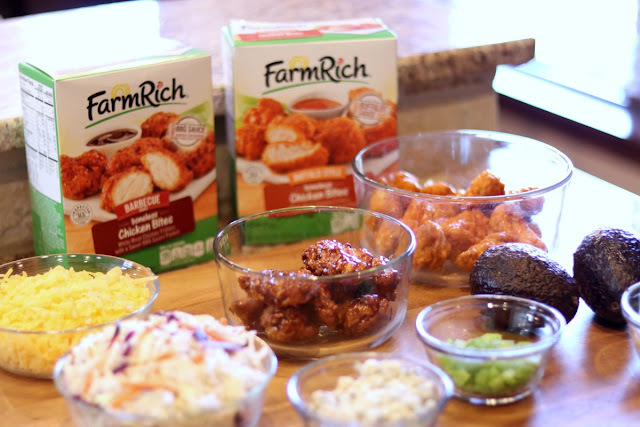 We love Farm Rich products because they are easy to make, our entire family will eat them, and they use wholesome ingredients like all white-meat chicken. One of the exciting things they are doing for Father's Day is giving away a 2-in-1 electric smoker! Actually 3 lucky people will each win a smoker! Would winning that make your day or what? It's really easy to enter. Just head over to their Facebook page and read the post pinned to the top of their page. All the instructions will be right there. Good luck and continue reading below to learn how to make these easy saucy sliders! Before we get to the recipe, there's one thing to remember. 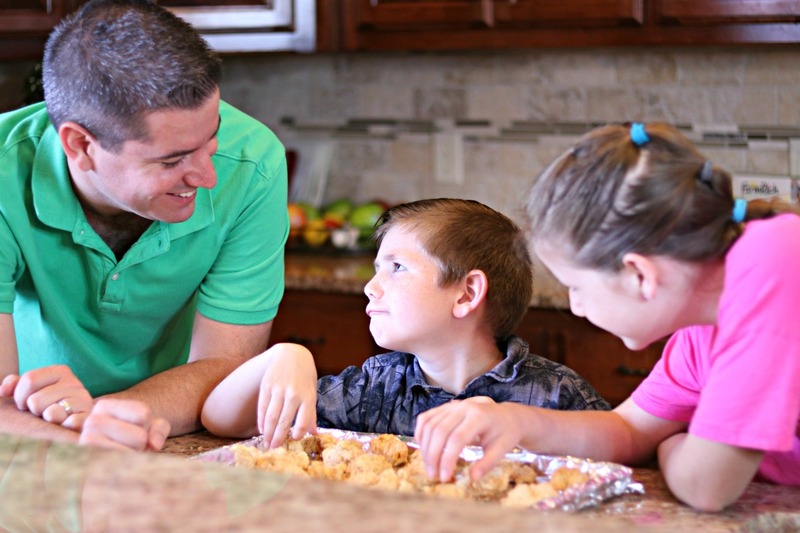 When I cook with my kids, I have to go into it with a mindset of having fun. Things won't be perfect and spills will happen. I try to remember to embrace the mess, goof off, and enjoy the time with my kids because it goes by so fast. Before I know it, they will be all grown up. But until then, we will enjoy making these chicken sliders together! Ingredients: 1 box Farm Rich Buffalo Style Boneless Chicken Bites or 1 box BBQ Style Boneless Chicken Bites, 4 pretzel slider buns, 3 TBS butter. For Buffalo sliders: 1 rib/piece celery, 2 oz. blue cheese, 1 avocado. 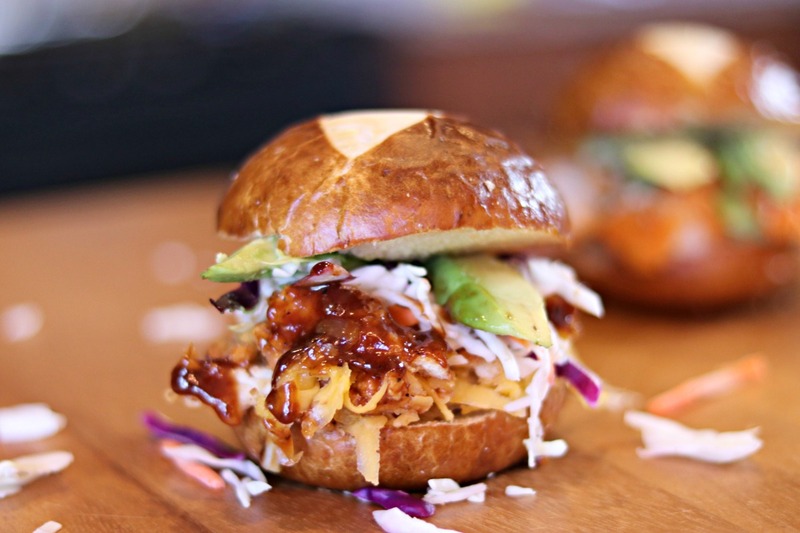 For BBQ sliders: 1 cup coleslaw mix, 1/2 cup cheddar cheese, 1 avocado. 1. Prepare chicken according to directions on box. 2. While chicken is cooking, prep other ingredients for the variety of sliders that you are making. For Buffalo sliders, slice celery and avocado. For BBQ sliders, slice avocado and shred cheese. For both types, cut buns in half and spread butter on each piece. 3. For Buffalo Sliders: After Buffalo chicken has been mixed with sauce, mix in blue cheese. For both varieties chop chicken into bite size pieces. 4. Toast buns in oven for 2-3 minutes. 5. Place chicken pieces on bun. For Buffalo sliders: Top with Buffalo chicken pieces, celery, and avocado slices. 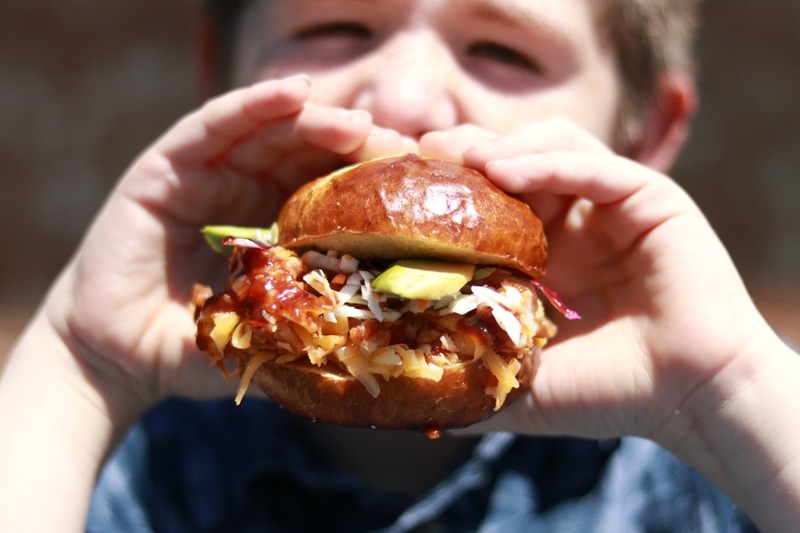 For BBQ sliders: Top with BBQ chicken pieces, shredded cheddar cheese, coleslaw mix, and avocado slices. Finish by placing the other bun piece on top. Enjoy! I hope this Father's Day you are able to relax, but more than that my wish for you is that you are able to spend some quality time with your kids. If that means that you end up in the kitchen, then even better. Two things I do know for sure. The first is that if you make this recipe, your entire family will love it. The second thing is that you should remember to enter to win this electric smoker from Farm Rich. How awesome would that be as a Father's day gift? 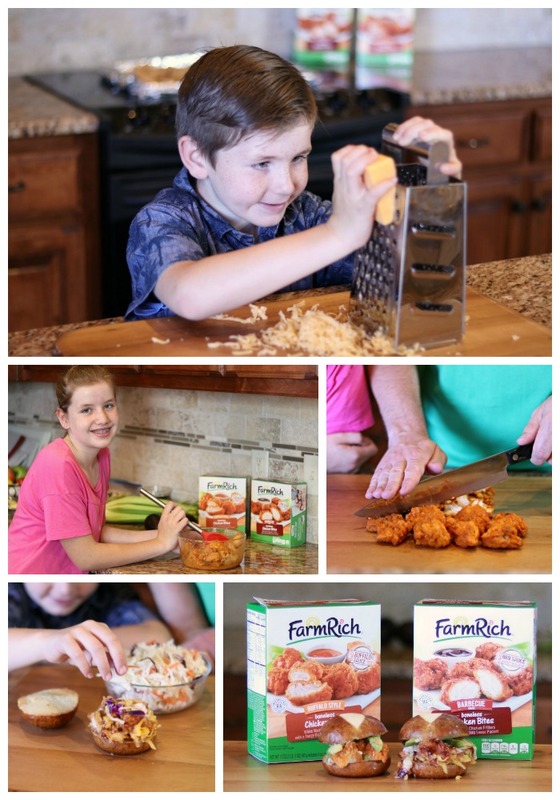 Be sure to check out #DishingWithDad and #FarmRich on social media for even more fun ideas. Happy Father's Day!